My man Michael Wilbon recently posted a video commentary…for no apparent reason…on the PTI Facebook page about his Top 10 stand-up comics. Because Wilbon, as erudite as he seems on TV, is subconsciously a militant black man and a throwback 60’s radical his list was, shall we say, just a little bit prejudiced. It wasn’t too terrible I suppose, but it had Wanda Sykes for God’s sake, a woman who is only mildly amusing at her best, while leaving off 2 or 3 certified comedy legends. My dismay with this absurd display of racially biased poppycock has inspired me to create my own ranking. I have made a concerted effort to eschew the kind of poor taste & obvious sociopolitical slant shown by Wilbon, but to be fair we are all a product of our background, bound to be influenced by the time & place in which we were raised and the things to which we were or were not exposed. I’m about 15 years younger than Wilbon, was raised in small town WV as opposed to Chicago, and watched way too much TV as a kid. I am a child of the 80’s (with fond memories of the late 70’s) and became an adult in the 90’s. I do think my rankings are better & more reasonable than the list that motivated this effort, but others may disagree. So be it. In pondering this idea I had a lot of names pop into my head. It became necessary to create parameters. The focus here is on stand-up comedy…just a guy (or lady) on stage with a microphone in front of a live audience. 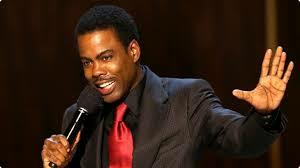 Many of the best comedians have gone on to star in TV series or become movie stars. That’s fine, but that’s not what this is about. Jimmy Fallon may have once done stand-up comedy, but in my mind he is an SNL alum who went on to do a few forgettable films and now hosts the Tonight Show. Same deal with David Letterman. To me he is a talk show host that has been a centerpiece of late night television for ¾ of my life. At any rate, even with those self-imposed boundaries the list was overflowing, so we will begin with some Honorable Mentions that didn’t quite make the cut for one reason or another. His stand-up routines landed him a successful sitcom which he parlayed into a mediocre film career, so I think of him primarily as a comedic actor. I LOVE Crystal, but to me he is an actor & awards show host. His standup career was before my time. I remember him as the star of two of TV’s more underappreciated sitcoms. He’s funny, but his career trajectory plateaued before I was born. I know them primarily as two long time hosts of the Tonight Show. An undisputed legend, but one whose career peaked long before I was born and who I fondly recall as hosting the occasional variety show special on TV. I realize he was a revolutionary stand-up comic in the 70’s, but I know him mainly as a film actor and for his numerous appearances on SNL. Funny, but not quite elite. I recall him as a frequent guest host on the Tonight Show and remember his first sitcom on Showtime in the late 80’s. He was before my time. 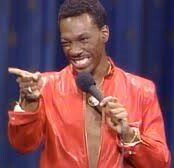 I remember him mostly for his guest appearances on Carson’s Tonight Show in the 1980’s. Sadly Kinison was gone far too soon, killed by a teenage drunk driver at the age of 38. Kinison was obnoxious, controversial, & often blasphemous, but he was funny. It would have been really interesting to see how he might have evolved. Would he have softened with age?? Would he have become a caricature of himself, still trying to be the loud, abrasive rebel even as an elder statesman of comedy?? Or would he have just flamed out & faded away once his shtick started to grow old?? We’ll never know, and that’s too bad. Wright’s deadpan delivery is unmistakable yet kind of defines him as a one trick pony. Amusing in small doses, but there is a reason he never became a huge star. I gave this spot to White over Jeff Foxworthy because I think he is funnier. His humor seems kind of restricted to a specific southern demographic, which is fine by me but limits his star power and accessibility to the masses. You know & love him as the prop comedian who busts watermelons with a sledgehammer. It’s a gimmick that has narrowly defined his career for four decades. He’s funny & memorable enough to get a mention, but just too vulgar to be ranked amongst the best. It is difficult to describe exactly what Andy Kaufman did on stage. He was more of a performance artist than a traditional standup comedian. It seemed as if he was trying to entertain himself more than anyone else, and if that meant offending, annoying, & confusing the audience then that was just dandy. Kaufman is another artist that we lost far too early, as he succumbed to lung cancer at age 35. I remember him mostly as Latka Gravis on the sitcom Taxi, a role that he allegedly despised. To me he is iconic junk king Fred G. Sanford from the 70’s sitcom Sanford & Son. However, before that role he had a long & successful career as a crude & profane stand-up comic. That was in the 50’s & 60’s though…way way way before my time, and in an era when profanity was actually shocking instead of the accepted norm. Okay, so now that the honorable mentions are out of the way it’s time to move to the main attraction. To be honest I wish more of these guys worked “clean”, but it’s rare to find a comedian who does that nowadays. We live in an era in which F Bombs and sexual humor sells, so that’s what many do. It’s not my preference, but for the most part I think my choices would still be funny if they took the road less traveled instead of conforming to low worldly standards. At any rate, sit down, enjoy a cold beverage, and maybe chuckle, chortle, guffaw, & giggle as I present…..
From the home office in Happy, TX…..
Y’all should know by now, there will be ties. These guys are legends, with Pryor being the trailblazer who heavily influenced Murphy. Pryor’s stand-up career was en fuego in the 1970’s when I was just a baby. By the time I got to the age where I was consciously making entertainment choices and discovering what I enjoy Pryor, like so many others, had segued into acting. 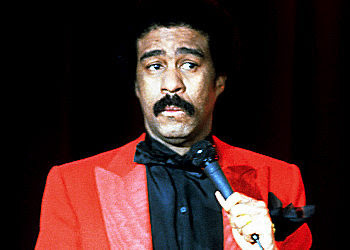 It is really interesting that a vast majority of comedians cite Richard Pryor as a huge influence. He really did make it look easy. His comedy was edgy & vulgar, yet accessible to the masses. Perhaps one of the most regrettable byproducts of Pryor’s legacy is that so many comics believe that peppering their act with a plethora of F-Bombs & other profanities is hysterically funny. I suppose it was humorous in a shocking kind of way when he did it, but now it’s just derivative & tedious. Murphy’s career has been all over the place, with a prominent chunk of the early 80’s spent as a cast member on SNL followed by a three decade movie career with some hits (48 Hrs., Trading Places, Beverly Hills Cop, Coming to America) and a lot of misses (The Golden Child, Vampire in Brooklyn, Pluto Nash, Norbitt). In between those gigs, for a brief time in the mid-80’s, he was a comedy rock star that did a few really good HBO specials that became big sellers on home video. Unfortunately Eddie Murphy seemed to buy into the whole movie star fantasy and has become more aloof & pretentious over the years. I don’t often agree with Rock’s politics, but there is no denying that he is an intelligent, thoughtful guy whose observational comedy is a cut above. Much of his humor has racial overtones, but I’ve rarely found it racist. It is more like a brutally honest, undeniably subjective worldview to which I can’t relate. In contrast, Miller’s philosophies & attitudes are much more in line with my own. 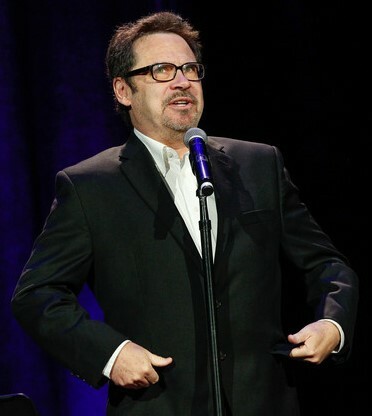 He also is a smart & solicitous dude whose comedy was tinged with insightful commentary about life even before he became a regular guest on political talk shows. Miller doesn’t dumb down his comedy for the masses. You either get the odd analogies & obscure references he makes or you don’t, and he’s not going to slow down and draw a picture for you. Both Rock & Miller had notable runs on Saturday Night Live. Rock has gone on to be a run-of-the-mill movie star in mostly pedestrian films, while Miller has dabbled in the whole talk show host thing (I really wanted him to be the guy to replace Letterman), did a season in the booth on Monday Night Football (not a good fit), & in recent years has become bogged down as a political pundit. I’d love to see him get back into doing stand-up. Okay…let’s first address the elephant in the room. 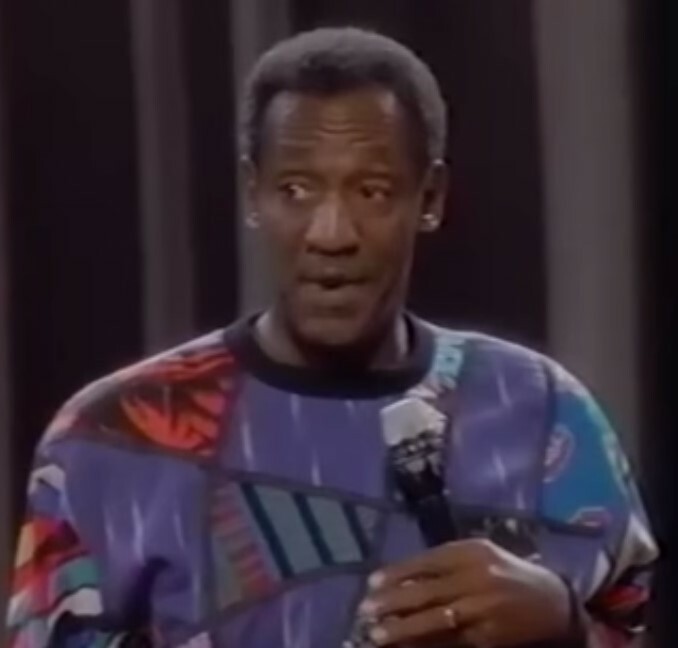 I am not here to judge what Cosby may or may not have done in his personal life. That’s not my place, and I think the damage that has been done to his legacy speaks for itself. Both of these men do basically work “clean”, which is good. The foundation of their humor is family, marriage, children, & relationships. They tell stories that many folks recognize from their own lives. It’s easygoing & affable. Their comedy isn’t meanspirited, edgy, or brash. Cosby, of course is…or was…a living legend that has done movies & TV shows and has generally been a part of the entertainment landscape for a half century. 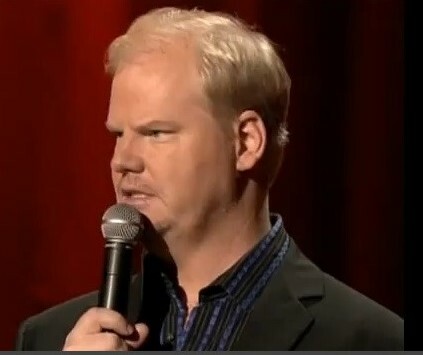 Gaffigan has been around for about a decade. He’s a soft-spoken, self-deprecating guy who likes to joke about being fat & lazy, comedy to which I can relate. Young comedians need to study these guys and understand that intelligent, relevant, witty comedy doesn’t need to be vulgar, obnoxious, or malevolent. By far my favorite kind of comedian is one who can do spot-on impressions. If I could ask God for any fun & frivolous talent I’d probably choose being able to do impressions over singing, dancing, or playing an instrument. Older generations might prefer Rich Little, but to be honest I was never that enamored with Little. Caliendo hasn’t become the sort of superstar that landed his own sitcom, but he’s done a wide variety of media appearances…MadTV, Fox NFL Sunday, & a ton of radio shows…and is a regular in Vegas. He does awesome impressions of folks like Al Pacino, Morgan Freeman, President George W. Bush, & Robin Williams, as well as a ton of sportscentric impersonations such as ESPN personalities Mel Kiper Jr., Adam Shefter, & Stephen A. Smith, former coaches John Madden & Jon Gruden, Charles Barkley, Jim Rome, and Bill Walton. I think Caliendo is brilliant. Leary has segued into acting now, but at one time in the early 90’s he was a chain smoking, fast talking, “angry” comedian…kind of a toned down Sam Kinison…and he was hilarious. His comedy album No Cure for Cancer is classic and helped make dreary days at a tedious job more tolerable for me in the mid-1990’s. 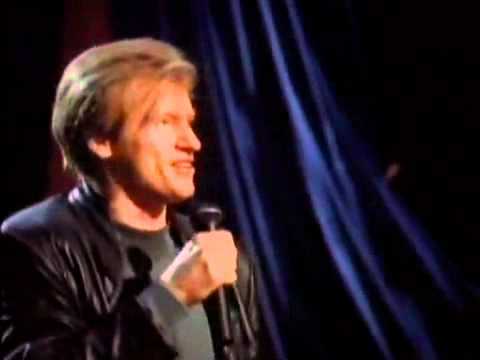 Leary was a much better stand-up comic than he is an actor, and I hope he goes back to what he does best someday. 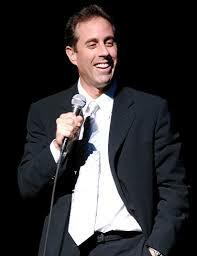 Yes I am aware that Mr. Seinfeld starred in a highly rated sitcom. As a matter of fact I chose Seinfeld as my favorite TV show of all time just a few years ago. However, that show was based, atleast partly, on the observational comedy of its star. Seinfeld was a celebrated comedian throughout the 1980’s, with his casual, conversational style playing really well on television in appearances with Johnny Carson and David Letterman. Seinfeld comes across as a kind of everyman, a guy it’d be fun to have lunch with or go on a road trip. Much like the beloved television show his standup comedy is about the trivialities, conundrums, frustrations, & contradictions of daily life. In contrast to guys like Kinison or Leary he isn’t particularly angry, and unlike Pryor, Murphy, or Dice he is far from profane. I would describe Seinfeld as perpetually bemused by the fickle nature of humanity. People like him just have a whole different way of looking at the world. They see things that most people overlook…and then they tell funny stories & jokes about what they perceive. Thankfully that perception is often quite entertaining. I always thought Seinfeld would end up hosting a late night show, but the stardom he achieved with his sitcom skyrocketed him past that. He doesn’t have to work that hard or often now. He hosts an amusing talk show called Comedians in Cars Getting Coffee, which you can find online, and thankfully he has gone back to doing standup. Maybe one day I’ll get the opportunity to see him perform live. Robin Williams was like Jerry Seinfeld on cocaine. Literally. Sadly we lost Williams last year, but his legacy is rock solid. He, of course, became well-known in the early 80’s on the sitcom Mork & Mindy, and after that starred in a plethora of mostly good films. 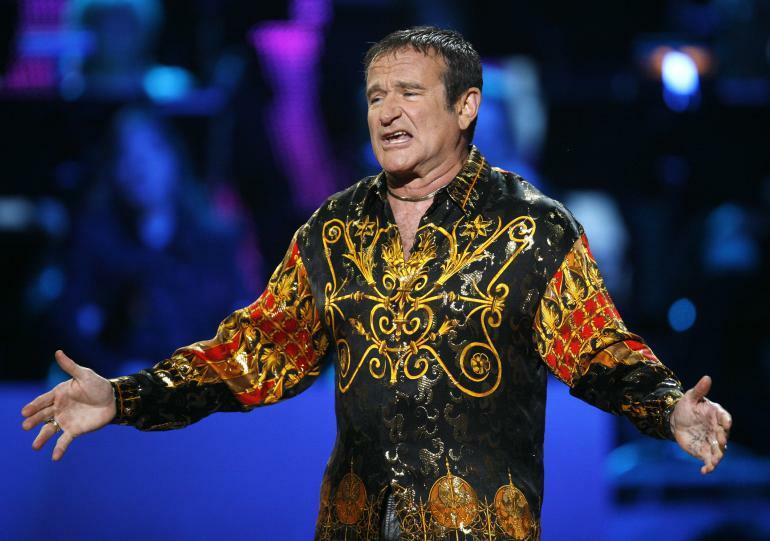 But Williams began as a standup comedian and never completely left it behind. 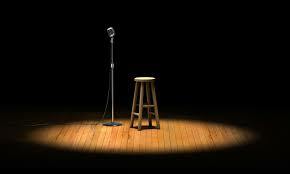 On stage he did it all…jokes, stories, improv, pratfalls, impressions, observation. It is hard to put him in a box and categorize his comedy. Robin Williams was manic, silly, intelligent, & creative. He was brilliant. His energy was unmatched. He always made me laugh. And not just a light snicker. I’m talking about wall shaking, tears in my eyes laughter that made others think I’d lost my mind. Hindsight informs us that the energy level was often drug induced, and sadly we also know that the comedy that made us laugh hid pain & depression that would ultimately lead to suicide. I don’t really know what to say about all of that. Unfortunately the tragic ending will likely forever alter the opinions of many about Robin Williams. I understand that, but for the purposes of this exercise choose to remember the good times. George Carlin had a career unlike any other. He began doing standup in the 60’s and was still working nearly 50 years later. 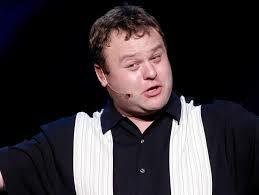 He dabbled a little bit in television & movies, but pretty much stuck to being a standup comedian. His observational comedy was a bit more acerbic, and many might say that in later years he bordered on meanspirited & angry. Carlin was a product of the counterculture 60’s and always had a bit of that “I’m smarter than you” attitude. In the 70’s he came up with his well-known routine The 7 Words You Can Never Say on Television, which seems a bit quaint now. I won’t repeat any of the words, but I will say that, as opposed to four decades ago, I think I’ve heard atleast 3 or 4 of the forbidden words on network TV just this week. 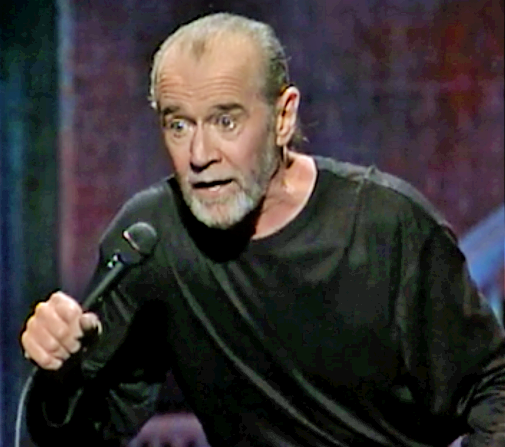 I didn’t really discover Carlin until the 80’s when he had several specials on HBO. By then he’d started doing a lot more sociopolitical commentary, much of it the complete opposite of my own worldview. However, I can usually overlook such disagreements and still find someone funny. While Jerry Seinfeld seems amused by humanity’s shortcomings they seemed to really tick George Carlin off. Sometimes this was hilarious, sometimes it wasn’t. The stuff I preferred from Carlin were his observations about language. He would talk about how language had evolved, mostly due to political correctness. Battle fatigue has become PTSD. Used cars are now pre-owned. Stewardesses are now flight attendants. Deaf people are hearing impaired & a person isn’t blind but has a visual impairment. I could go on but you get the point. Carlin was at his best when he was dissecting the idiocy of political correctness, something it seems like he hated as much as I do. That alone vaults him to the top of this list, despite everything he believed in that I disagree with.